Knives for Processing AHSS (HXT® Technology) – ASKO, Inc.
Advanced High Strength Steel is proliferating globally. Most installed equipment and tooling is severely challenged to cope with the processing demands of this extremely high tensile class of material. ASKO engineers created a solution to this problem. We developed a revolutionary knife specification that is customizable to suit your application. HXT knives excel on your existing side trimmer and slitting machines. Our HXT® knives wear 5 to 10 times longer than conventional knives and are ideal for edge trimming and slitting of advanced high strength steel (AHSS) strip and sheet. 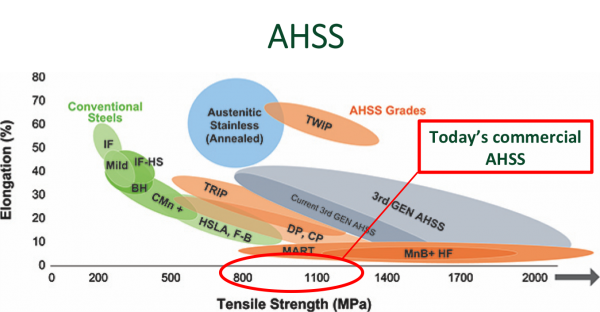 With tensile strengths ranging from 600 MPa to 1700 MPa, HXT® knives’ unique physical and metallurgical properties enable processing of high tensile strength materials without interruption, and without coil edge deterioration. Find out how to apply HXT® knives to your demanding requirements. For additional information on these products, please consult the supporting literature below. Contact us for additional technical documents.